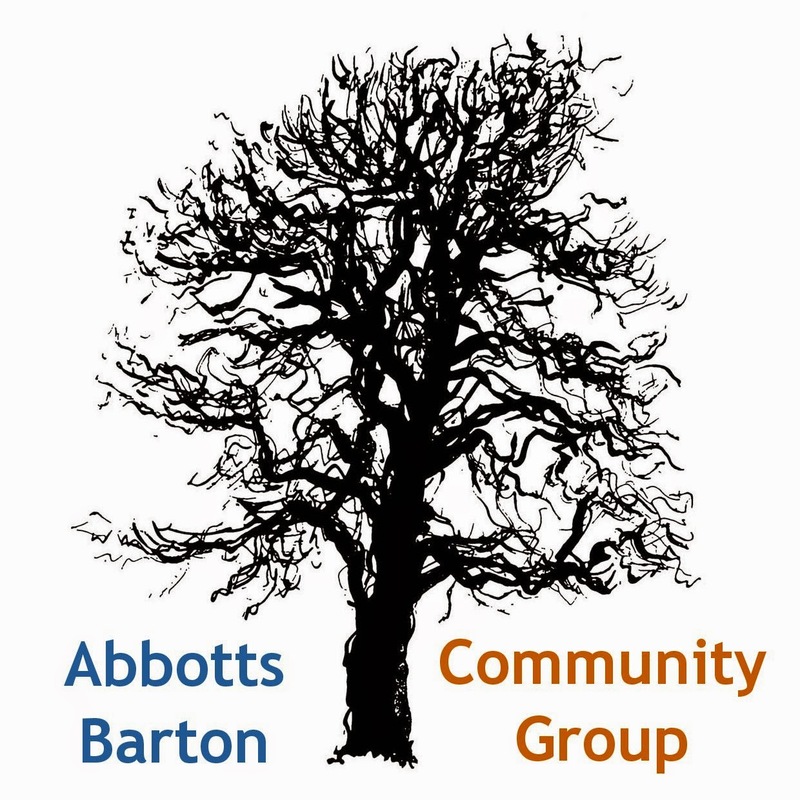 Abbotts Barton Community Group: A park used well! Today we came together in the park for a much nicer event than last time (the Save The Parks press photo shoot): we had our Big Lunch and it was a very nice afternoon, especially when the sun decided to warm us up again after a little bit of a cold spell at the beginning. People were very generous and brought along delicious food to share and drinks of all kinds. 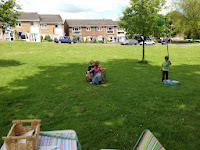 While the grown-ups chatted, the children had a great time playing with the outdoor toys brought along by Jane; at some point they even organised an obstacle course and asked the grown-ups to go along the course - and I was told it was a good one! 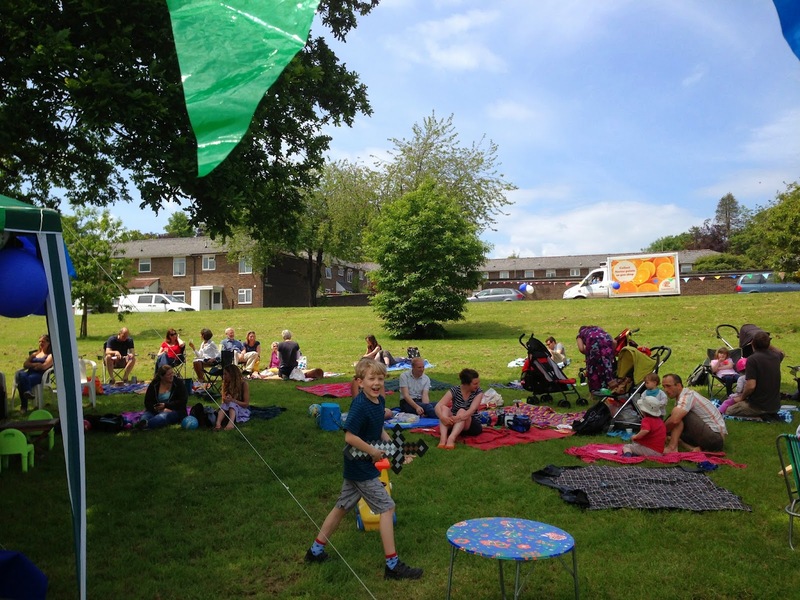 I didn't get to see much of my son for most of the duration of the Big Lunch, he was playing happily with the neighbourhood children or munching away on some of the goodies on the tables. We should really do a small version of this every so often on nice weekend Sundays to get the children to play more outside! 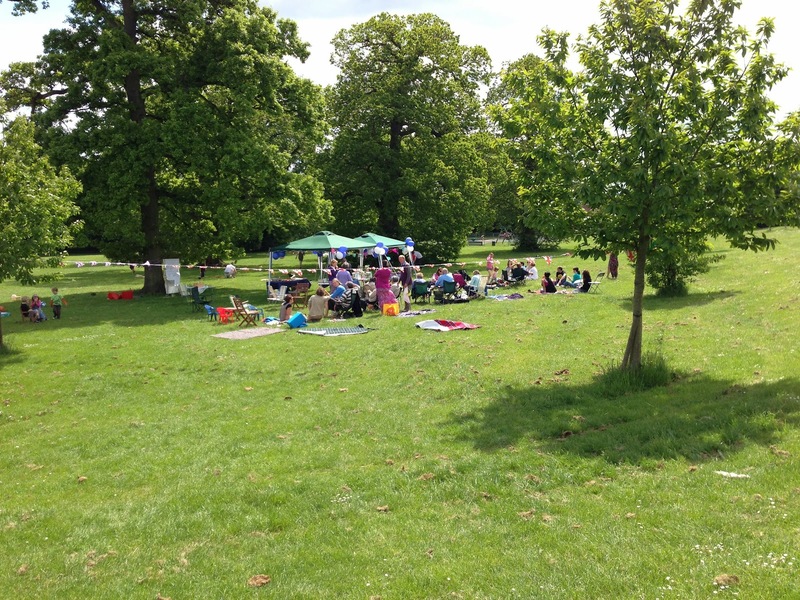 Thank you to everybody who joined us today and of course a very big thank you to Jane and helpers who organised the whole event!